Vulnerabilities are common, even as much we want them to be non-existent it’s only a matter of time before human-error occurs and a major vulnerability puts every device at risk. More particularly we’ve recently being seeing a lot of this recently in the Android community. 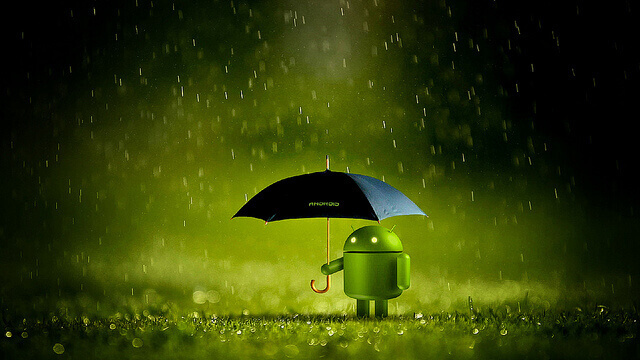 Almost every week there is a new critical Android vulnerability plaguing billions. One vulnerability in particular, Stagefright, was rather critical putting billions of devices at risk to a simple text message. Google was rather swift to respond, patching these critical bugs in their latest Android 6.0 Marshmallow release, however it’s not all Google’s fault, a lot of these vulnerabilities are going unpatched due to manufactures taking their time releasing a compatible build with their locked phones. What’s even worse is some older devices don’t even get updates, meaning they are vulnerable to all the past, present and future bugs. Due to the rapid pace these vulnerabilities are being disclosed, it’s hard to stay on top of it all. One week it’s Android, the next it’s iPhone, and you may forget or just not hear of it. For those, here comes the one-click solution to this problem. A recently released Android app can help scan your phone for past and present threats as well as educate you on the vulnerability itself, in one simple click. Android Vulnerability Test Suite (VTS), developed by mobile security firm NowSecure, is a free vulnerability scanner for your Android device, scanning for 22 known vulnerabilities, including the most recent Stagefright flaw. “In implementing these checks we attempt to minimize or eliminate both false positives [as well as]false negatives without negatively affecting system stability,” NowSecure said speaking on their recently developed app. Due the open-source nature of the project from a clearly trusted developer, users and security researchers can add bugs and other great features right through the Github repository, where NowSecure could make them official features. After installing VTS to your phone via the official Google Play Store, hit the search button to launch the vulnerability scanner. After about 30 seconds, the app will recognize your device and begin to list out vulnerabilities that that have affected your device model in the past or present. Note: Your Antivirus may detect this tool as malicious due to it containing Stagefright detection code.